GENEVA, Switzerland (KTRK) -- If diamonds are a girl's best friend, this one is her BEST friend forever. 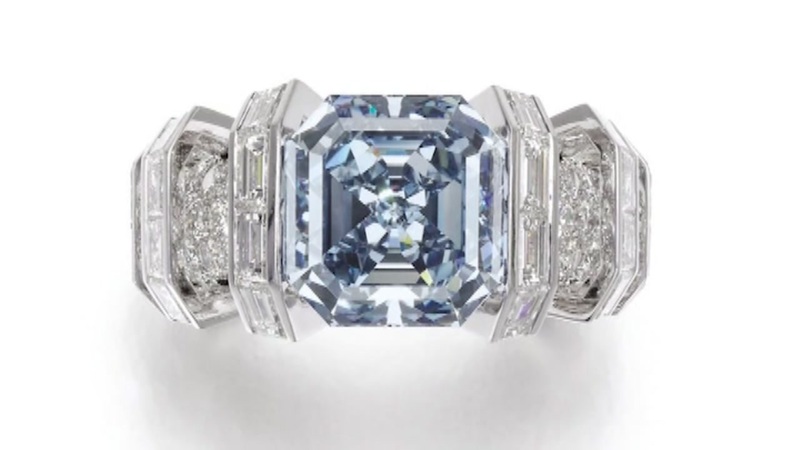 This stunning 8.01-carat beauty is going up for auction at Sotheby's later this month, and it could fetch as much as $25 million, experts estimate. 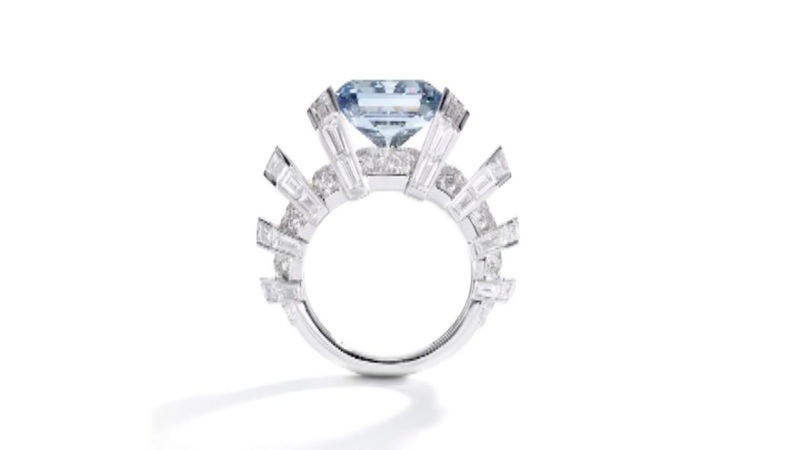 According to the auction house's website, the square-cut diamond from luxury jeweler Cartier has a "geometric mount set with brilliant-cut and baguette diamonds." 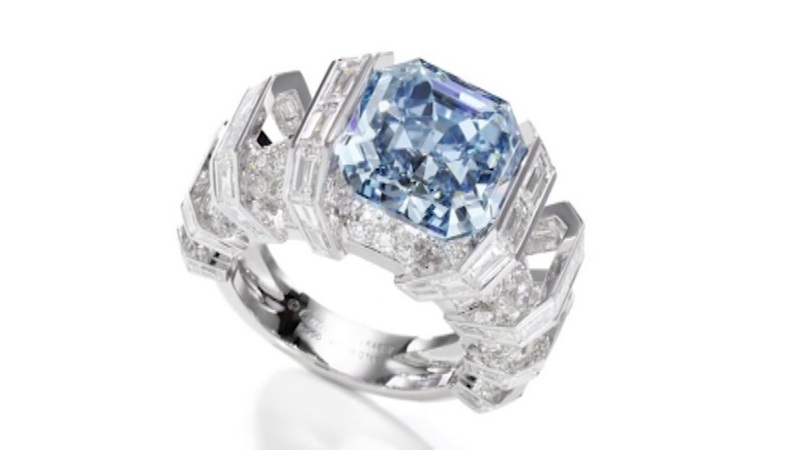 It has been dubbed the Sky Blue Diamond. 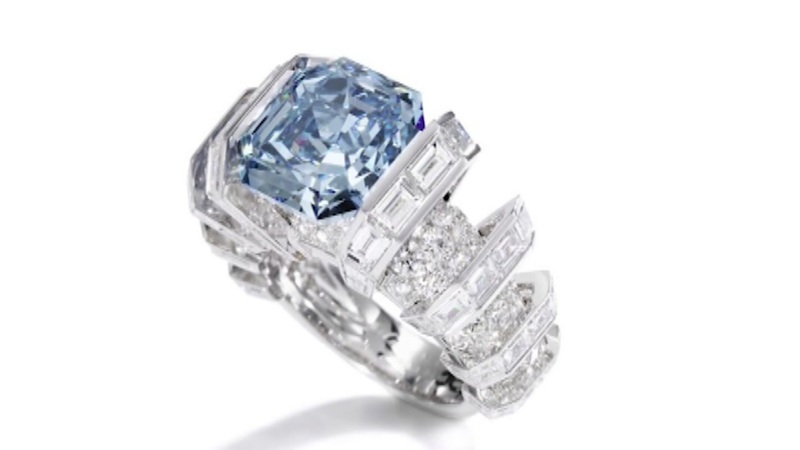 Blue diamonds are among the rarest diamonds, according to the Gemological Institute of America, with deeply saturated blues among the rarest gemstones, period.